I used to work for a manager that continually gave me extra work. Back then, I thought that was a compliment. Today, I realize that being busy is not as good as being productive. Now I say, “no” more often. As a result, I’m more productive. Why? Because I focus on what’s important. Focusing on one thing builds momentum and makes victories more likely. I’m no longer drowning in opportunities and jumping to the next best and exciting thing. Instead of doing a lot of things with mediocre results, I do less with better results. Saying no is empowering. It’s like a superpower. And as with all superpowers, it takes practice. · Toxic people who create unnecessary drama. · Complainers unwilling to take action to make things better. · Closed-minded cynics who won’t listen to opposing points of views. In these situations, you don’t have to actually use the word. You channel your internal superpower and allow your thoughts to do all the work. Then you can ease into saying no to conformity, excessive consumption, self-doubt or anything you may need. It’s all tied together. At least it was for me. Learning to say “no” leads the list of the smartest things I have ever done. Try it if you haven’t already. What about you? 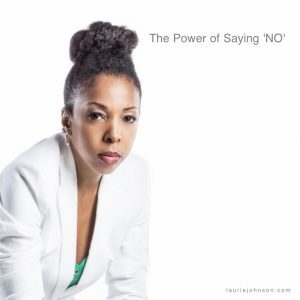 Do you believe there are benefits to saying no? Use the comment section below and share your thoughts. Previous: I’m a Hustler, Baby!